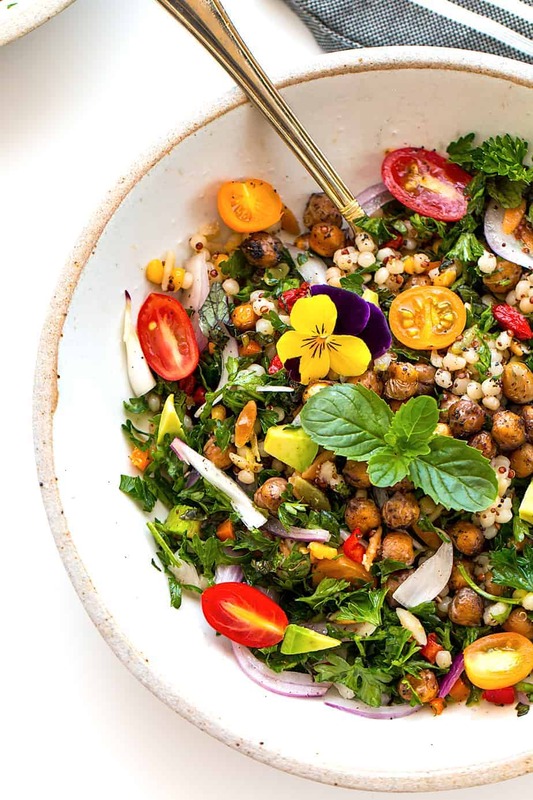 Here’s a delicious, roasted garbanzo beans salad with refreshing and tangy veggies that make it unforgettable. 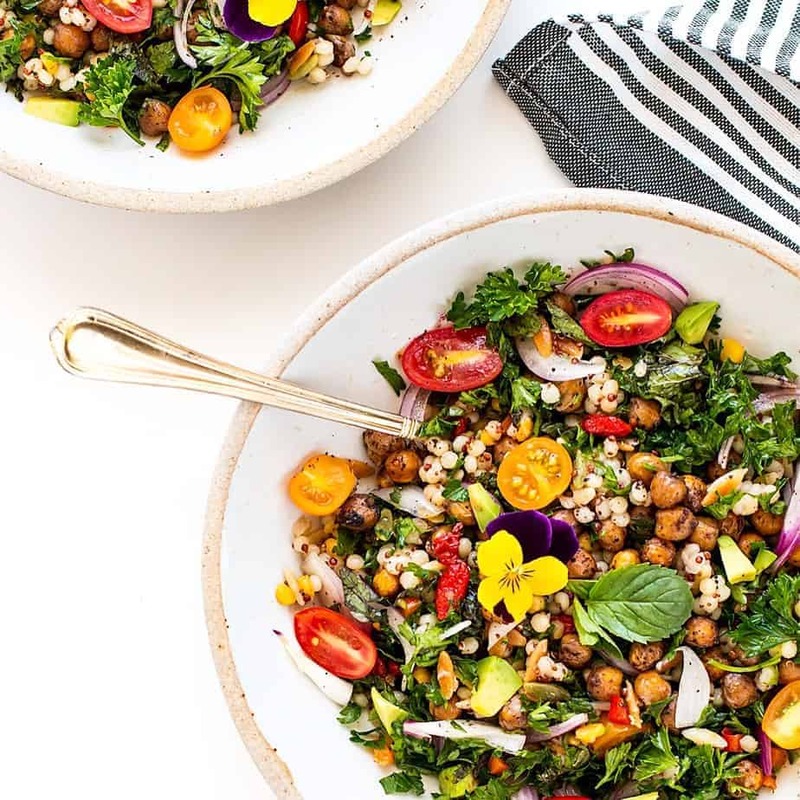 This is a high protein salad that will actually fill you up. I added fresh curly parsley, mint, tomatoes, red onions and a surprise ingredient of goji berries, with a refreshing homemade sumac honey-lemon salad dressing. Roasted garbanzo beans are my favorite healthy snack and bring a nice texture and taste for a salad. Garbanzo beans are filling and low in saturated fat and cholesterol, but contain high amounts of folate and manganese. Garbanzo beans have long been valued for their fiber and protein content. 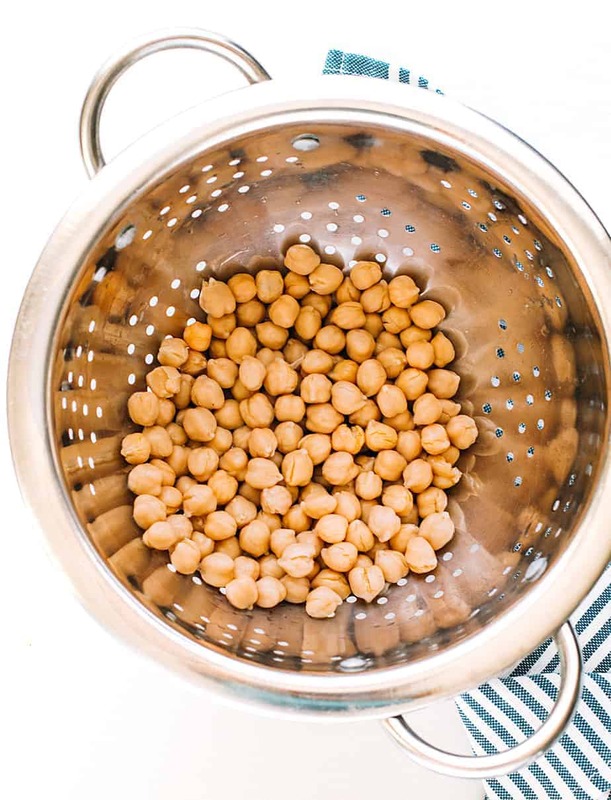 I would recommend buying Garbanzo beans with no salt, added and if you are buying canned Garbanzo beans, be sure to look for a BPA-FREE 0r Non BPA lining can. I roasted the Garbanzo beans in light olive oil, salt and sumac powder. Sumac powder has tangy lemon flavor, yet it is more balanced and less tart than lemon juice. Sumac is a very popular condiment in Turkey and Iran and is an essential ingredient in Middle Eastern cooking. Purchase sumac from Amazon.com or at many international markets. I bought my Sadaf Sumac Powder (pure sumac without any other ingredients) at local market for less than $5 per 12.5 oz. In a small bowl, whisk together all of the above ingredients. Serve immediately or keep it in the refrigerator for up to 2 days. Like many salads this one is very customizable so feel free to remove parsley, etc. or add other ingredients to your liking. You can also make this salad for the next day and keep it the fridge for up to 24 hours. Pour the salad dressing when you are ready to eat. Garlic Butter Shrimp Scampi Pasta with Asparagus + Rubbermaid BRILLIANCE giveaway! 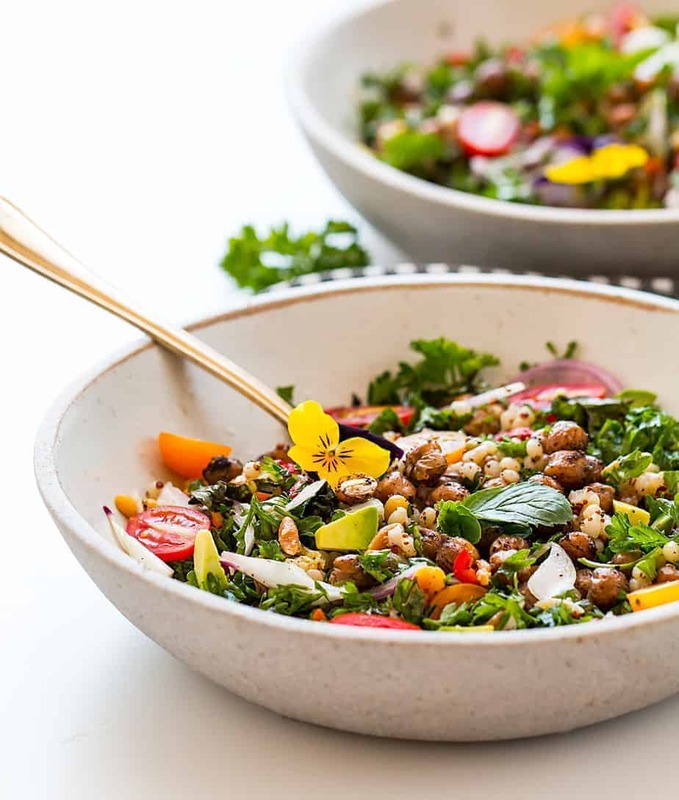 This recipes for the roasted garbanzo beans with sumac and the honey lemon salad dressing sound interesting. I will have to try making this salad and the dressing for my family. This is a salad I have never tried to make before but I think my family would enjoy it. Thanks for sharing the recipes. Let me know if you like it…. That salad looks ah-maz-ing! I just ate but I want to run out and get the ingredients to make this right now. I haven’t tried Garbanzo beans. I am not sure if I would like them or not. Your salad looks tasty though. Your fppd is always appetizing to look and very deli-cious. I would love me a bowl of this salad! The last time I had garbanzo beans was back in my hometown – my mom used to prepare dishes with garbanzo a lot. Got to try your recipe! Looks yum! I have never tried Garbanzo beans before. 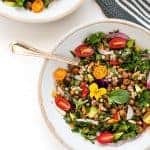 This salad looks so delicious and easy to make. I will have to get the ingredients I need to make some this week. We love Garbanzo beans and this looks amazing!! Oh my goodness – this looks amazing! And the photos are just lovely, great job! This is seriously one of the most beautiful salads I have ever seen in my life!